Waders suffer a huge injustice. And it is all because they have bad PR. I cannot count the number of times I have been told “I don’t do waders, they are just too hard” or “I’m a beginner and waders are so confusing”. Believe me, it’s a myth of staggering proportions and by submitting to it some of the most charismatic of all the world’s birds are being ignored. 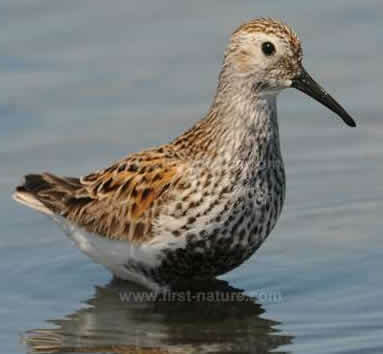 In fact, I maintain that we all ‘do waders’ whether we realise it or not. Who, with any interest in birds, has trouble distinguishing Northern Lapwing from Whimbrel? And just who becomes flustered when confronted by an Avocet or Oystercatcher? Skills may need to be honed and that comes with practice. Nowhere could be better to watch waders at close quarters than the salt pans that hug the coast of the Algarve. In the height of summer they are the preserve of breeding Avocets, Black-winged Stilts, Kentish Plovers and Common Redshank. Then, in July, the promise of things to come is signalled by the arrival of parties of Black-tailed Godwits, failed breeders from farther north anxious to get on with the next phase of their lives. By August the autumn migration has begun in earnest, bringing with it juveniles on their first long-distance flights. There are more godwits, of course, along with short-legged waders like Common Ringed Plover, Little Stint, Dunlin, Sanderling, Curlew Sandpiper and Turnstone. 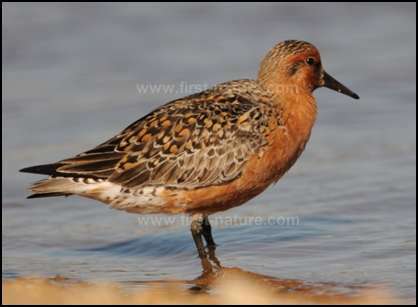 Throughout the winter the Algarve’s salt pans are home to thousands of waders. 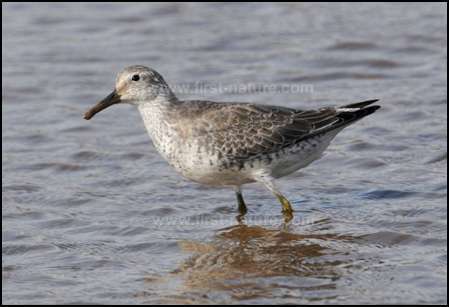 Most of the species already mentioned will be there as too will Greenshank, Grey Plover, Common Sandpiper and perhaps a Spotted Redshank or a Ruff. On a sparkling winter’s day it is perfectly possible to record 25 or so wader species in the pans and surrounding farm lands. As the hours of daylight imperceptibly lengthen, so the year turns full circle and the waders start travelling north. Some arrivals from Africa, like Little Ringed Plover and Collared Pratincole, will stay to breed but most are passing through, pausing just long enough to feed and put on fat reserves, the fuel to sustain them on their next long flight to breeding grounds that may well lie within the Arctic Circle. March arrivals are still in their duller winter garb but the passage continues well into May and by late April many individuals have moulted into breeding plumage. 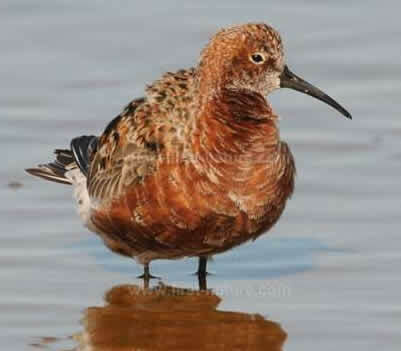 The appearance of some species, for instance Dunlin and Curlew Sandpiper, is then nothing short of stunning and with a little luck there will be a few of my personal favourite, Red Knot, whose transformation from dingy grey to brick red is truly astonishing. Over the past few days I have been spending my time photographing these gems; an experience that can be enjoyed in the Algarve for just a few very special weeks each year. If you are yet to be convinced, then now is the time and the Algarve is the place to start ‘doing waders’. Ray Tipper, who spends much of his time in the Algarve, is co-author of Algarve Wildlife - the natural year which, since its publication in September 2009, has become the best-selling book for those interested to learn about and see the wonderful wildlife of the region. Ray's intimate knowledge of Portugal and its birds has been recognised by his appointment as a member of the Portuguese Rarities Committee.